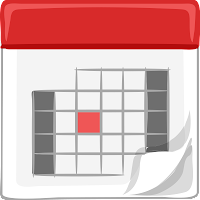 Back in mid-December, Google announced that they would be discontinuing several services and features including Appointment Slots for Google Calendar (link). According to the post, users would no longer be able to create new Appointment Slots as of January 4, 2013, although existing Appointment Slots would continue working for one year. Later Google extended the end date for the creation of slots to be January 30, 2013. It is free. There is a paid option for premium features, but for what we need, the free version works fine. It integrates with Google Calendar. This is excellent since I want to stay within the Google Apps ecosystem as much as possible. This also means we can continue to use the same conference calendars our teachers already created, rather than starting from scratch. My teachers can easily create the time slots they are available for conferences. Their appointment calendar can be password protected so parents would need go through some form of authentication. Teacher can add custom questions to the booking process to collect information such as the parents’ names, the parents’ email, the name of their student, and any questions or comments the parents would like to leave. This can provide helpful information prior to the meeting. A custom email can be sent to you after a booking is made. A custom email can be sent to the parents after a booking is made. The parents do not need a special account to make book an appointment. They simply need the link to the teacher’s appointment site, and optionally a password is the teacher has set one. All in all the service looks to be a perfect fit for anyone wanting to computerize the process of scheduling Parent Teacher Conferences. In fact, I would go so far as to say it is a better solution than what we were doing with Appointment Slots. It is free, still works with Google Calendar, but now the parents do not need Google accounts to access the service. Of course there are many other alternatives out there, and some may fit your needs better depending on what you were using Appointment Slots for. Below are links to several other services that may be worth investigating as alternatives to Appointment Slots (with thanks to Robin from Google for curating this list). I hope to explore these other options, but unless I find something better, my plan will be to move our school over to YouCanBook.Me for our conference scheduling. How about you? If you have experience with any of these or other services, please leave feedback in the comment section below. It will be very helpful to hear how others are adjusting to the end of Appointment Slots.